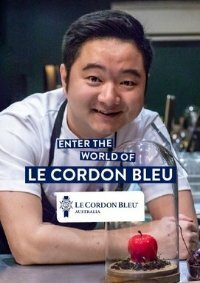 For three days in April (sold out) or October in 2019, Le Cordon Bleu Adelaide are offering sixteen lucky students the chance to 'Enter the World of Le Cordon Bleu' in one of our 3-day residentials! We're opening our doors to high school students in Years 11 & 12, to experience a ‘day in the life’ at one of the world’s leading culinary and hospitality institutions to provide a taste of what a future career in global hospitality will be like. Meet lecturers and Le Cordon Bleu professionals, hear from industry experts, discover what Le Cordon Bleu hospitality management degree programmes involve and experience hands-on culinary arts with our chefs. Inquire now about this residential designed to take your passion for hospitality, gastronomy and management to the next level ...and join us at Le Cordon Bleu in April or October! What future career inspires you? Would you love to be an award- winning chef, a luxury hotel manager, or own a popular café or restaurant? Discover which Le Cordon Bleu study programme will best prepare you for your dream career, hear about subjects like Marketing, International Hospitality Experience and Leadership. Learn how our Work Integrated Learning (WIL) industry placements create work-ready graduates with real workplace experiences in leading establishments. Le Cordon Bleu offers internationally recognised qualifications, from certificate to master’s level. Our global connections and lifelong alumni membership open doors in Australia and abroad. Whenever you travel or work around the world, you can meet someone from the Le Cordon Bleu family. There are only 16 places available in each of these amazing 3-day residentials, choose between 15-17 April (sold out) or 2-4 October 2019, with registrations now open. What will you experience on your three day adventure? Exclusive private tours of Adelaide's leading hospitality venues. The cost for this 3 day experience is only $300 which will be deducted from your tuition fees if you enrol in any Le Cordon Bleu programme. Who is this workshop for? : High school students in Years 11 &12 interested in culinary arts, hospitality or business management.